Like I said, I was so busy the first 3 days, I didn’t have time to explore the city! Although this is my excuse; I had only one free day in Bucharest and I preferred to discover the healthy living spots rather than touristic places. 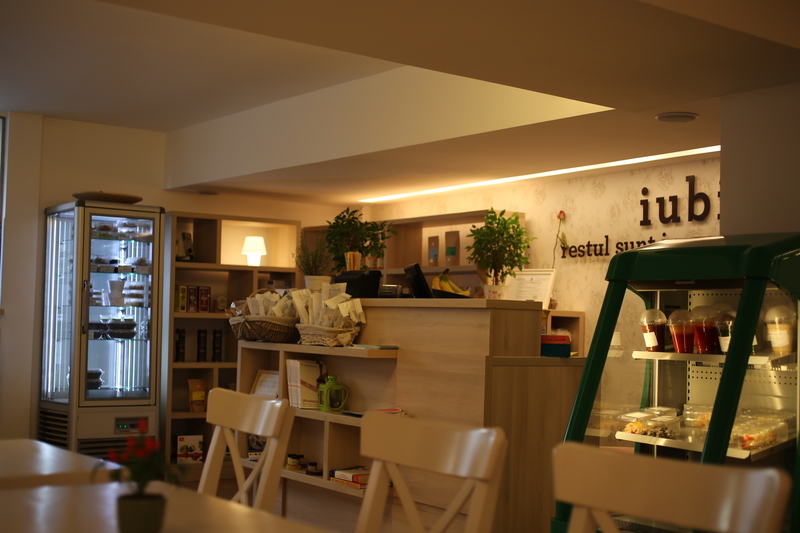 It was my priority because of the increasing Romanian customers we had, I wanted to be able to tell them where to shop, where to eat in Bucharest… So here it is; my couple favorite places that I discovered in Bucharest. My time was limited so I could only visit few places, but this series will likely continue with my next visit and new discoveries. 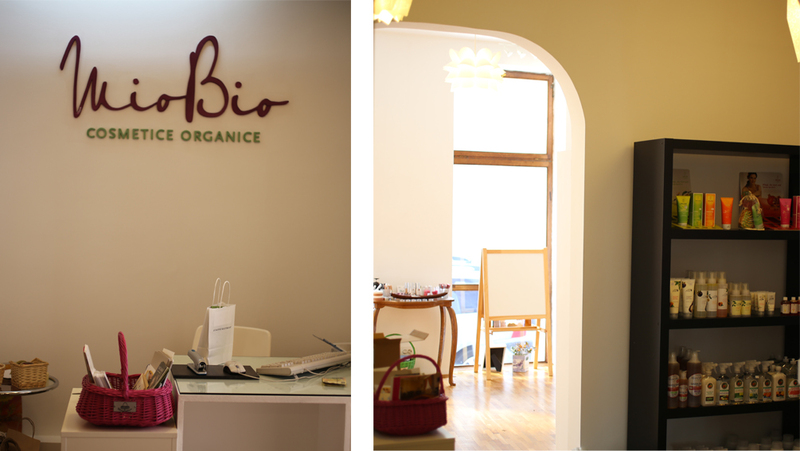 This is an organic cosmetics and skincare shop, but they also carry organic/ecological household products, soaps and chemical-free perfumes. I loved the place, it was packed with my favorite organic brands like Weleda, Jason, Madara… I also discovered local brands and new brands I have never heard of such as Florascent Perfumeurs, a chemical-free perfume brand. I loved most of the perfumes in the series, they smell natural and very beautiful indeed. You should definitely stop by this place if you decide to detox your bathroom and vanity. I will talk about the importance of organic cosmetics and skincare in another post because it is a very important subject, most people are not aware of the chemicals they put on their bodies. Our skin is our biggest organ so we need to be gentle and try to use natural alternatives as much as possible! 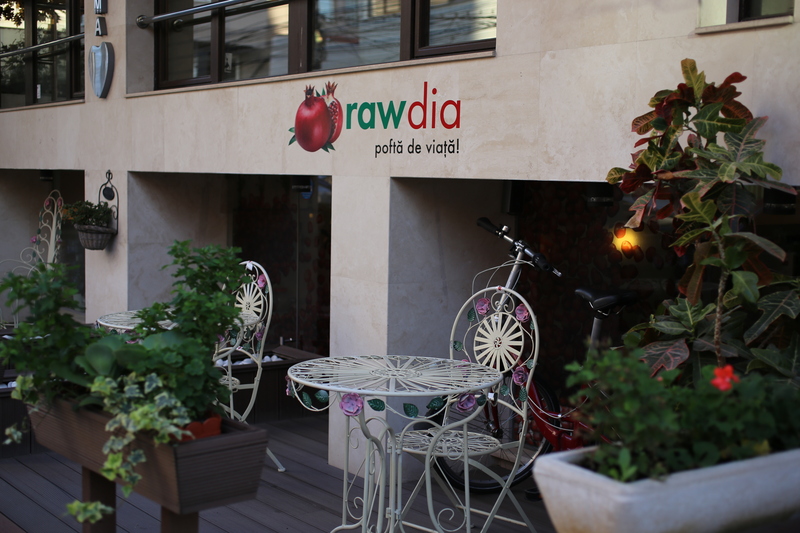 Rawdia became my favorite spot in Bucharest. Why? Because it was packed with yummy smoothies, juices and take-away raw food (snacks, desserts, soups..). I loved the beautifully decorated place, I ordered some coconut cheesecake and it was truly delicious. They served it with cacao nibs and honey. I also bought some raw falafel balls and almond milk smoothie- they were my airport food. Really tasty, and the service was very good, they were really helpful. They also have a small shop which you can find some superfoods. I was very surprised to find Xylitol there- I was searching it for months! Long story short- go there. If the weather is good, they have some tables outside. 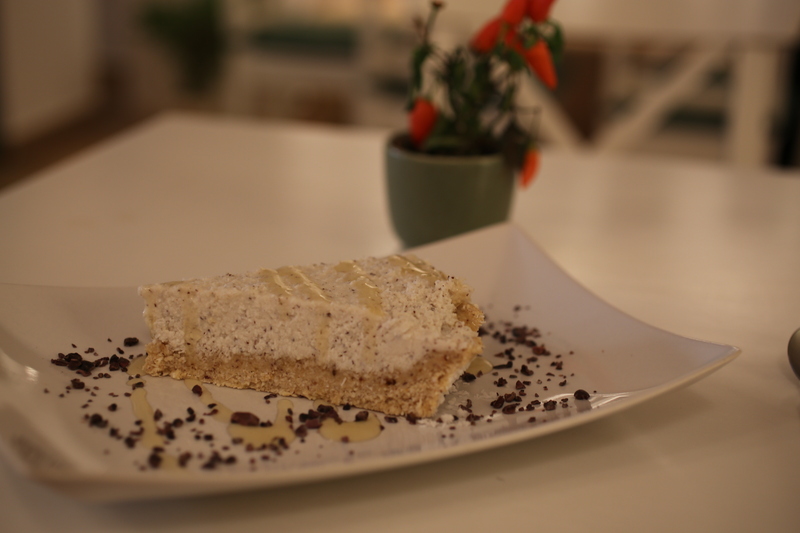 A vegan / raw vegan restaurant; this is a place where you can introduce anyone a raw vegan cuisine. The menu is quite good actually, all the cult raw vegan dishes can be found here like zucchini pasta, lasagna, etc. 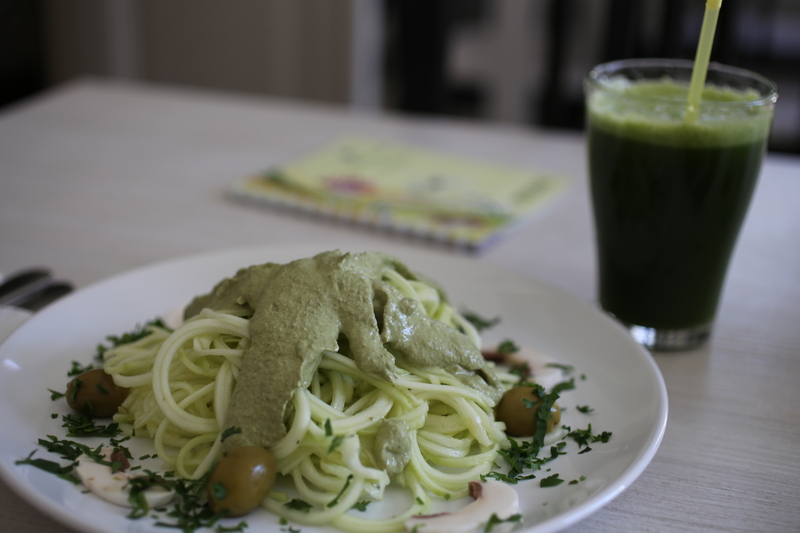 I have tried the zucchini pasta with pesto sauce, it was tremendous. Probably one of the best I have ever had. 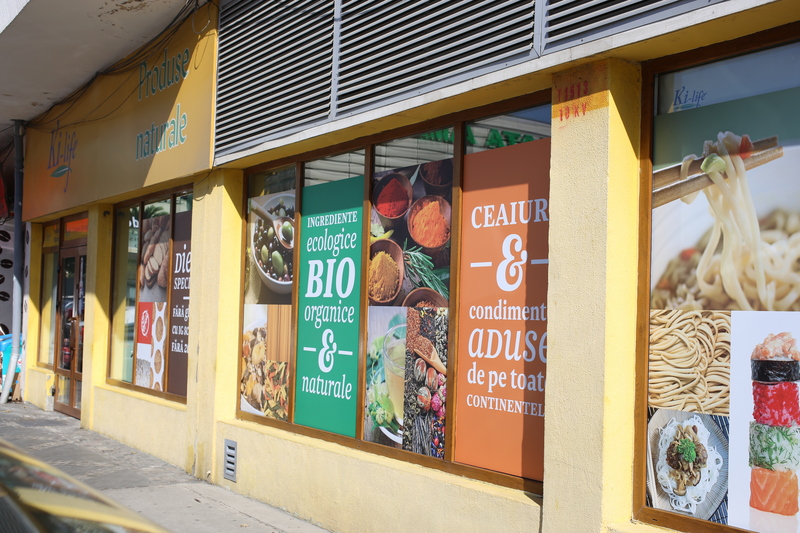 They also have a small shop fully packed with superfoods, alternative sweeteners, slow juicers, blenders… They also have a good juice menu. 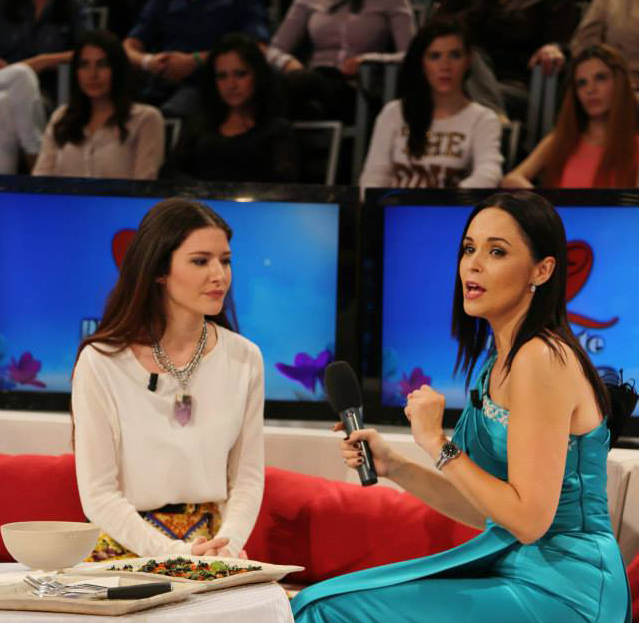 If I’d live in Bucharest, I would go there probably several times a week! My last stop was Bio Fresh. It is a vegetarian / vegan / raw vegan cafe, it has a ‘terrace’ as Romanians say (outdoor dining tables). I was actually shocked when I have seen the menu; it was the biggest menu I have ever seen in a vegetarian / vegan restaurant and so many choices were available, I really couldn’t believe it. 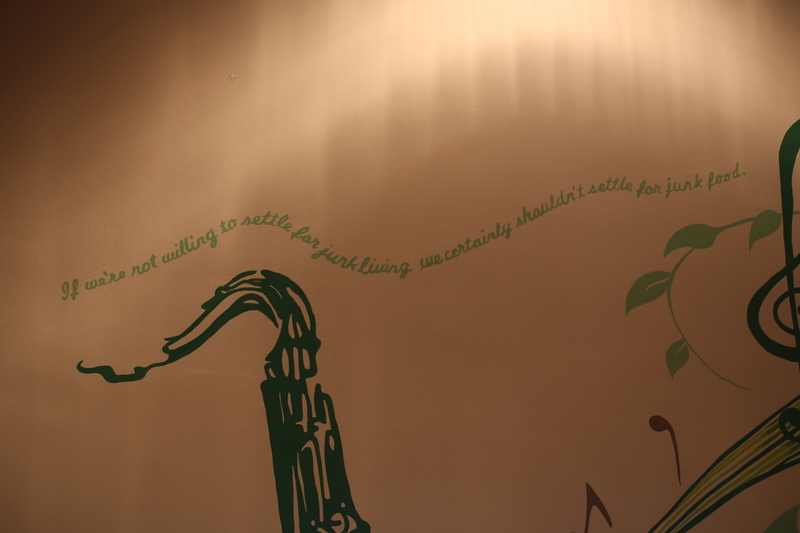 It is impossible to order one thing, you suddenly want to order more than 3 things- it is very tempting! I went there full (my mistake but like I said- my time was limited) so I ordered a snack. Raw bread with guacamole- and let me tell you; it was the best raw bread I have ever tasted. No but seriously- I have visited so many raw restaurants in U.S. and never came across something like this. I was also very impressed with the juice menu- I couldn’t even counted how many juices they had. Probably 50 or something! I really recommend this place; it may be a good spot to go with carnivore friends, they also have alcohol so while you enjoy your healthy food, they also won’t feel restricted as there are so many choices. So I hope you enjoy this post! Hopefully I will visit Bucharest again, and discover even more places… Please share in the comments if you visit and liked other places, it would be very helpful to others. Thank you for this summary, Cisem! Can’t wait to discover one of these places! You welcome! You are living in a truly beautiful city 🙂 I am glad I could be helpful! Thank you for this beautiful post. I am going to visit Bucharest in April and i cannot wait to try those vegan raw places. I will stay only one night in Bucharest do you know any nice area to stay? Thanks Marilyne for your kind words! I remember I stayed in Athenee Palace Hilton Hotel, it was a nice area! Hope that was helpful!